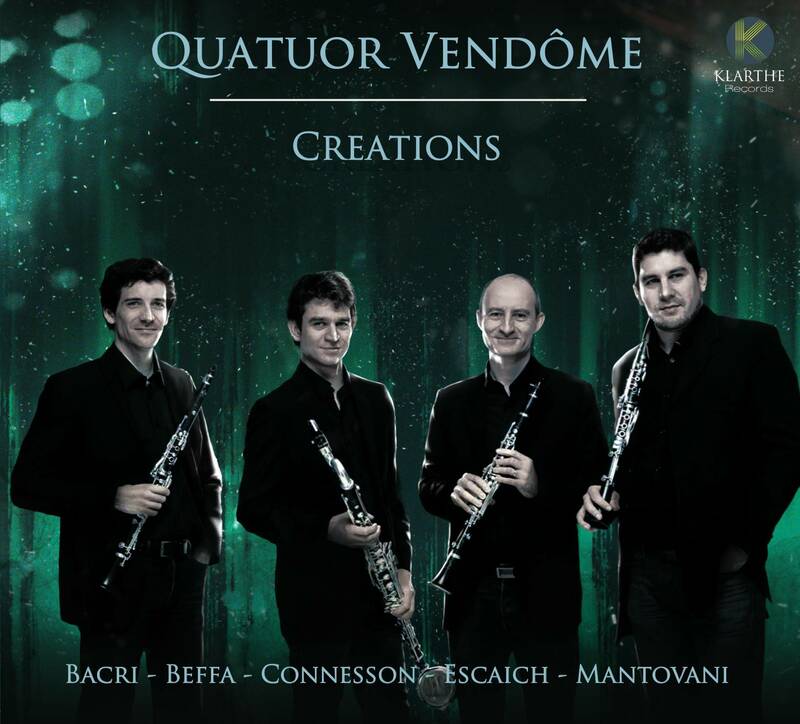 United by a solid friendship and a great passion for chamber music, four clarinettists took the decision in 2002 to pool their talents and founded the Quatuor Vendôme. Eager to merit this noble title, to gain a musical legitimacy and high quality repertoire for this hither-to unknown ensemble, the four soloists decided to construct their project around two principal axes: the transcription, by their own hands, of well-known pieces and the commission of original works from the most celebrated composers of our time. Since then they have travelled all over Europe, Asia and the United States, playing for the most prestigious festivals, incorporating their personal arrangements with contemporary works from Thierry Escaich, Bruno Mantovani, Karol Beffa, Guillaume Connesson or indeed Nicolas Bacri, who have dedicated their works to the group. 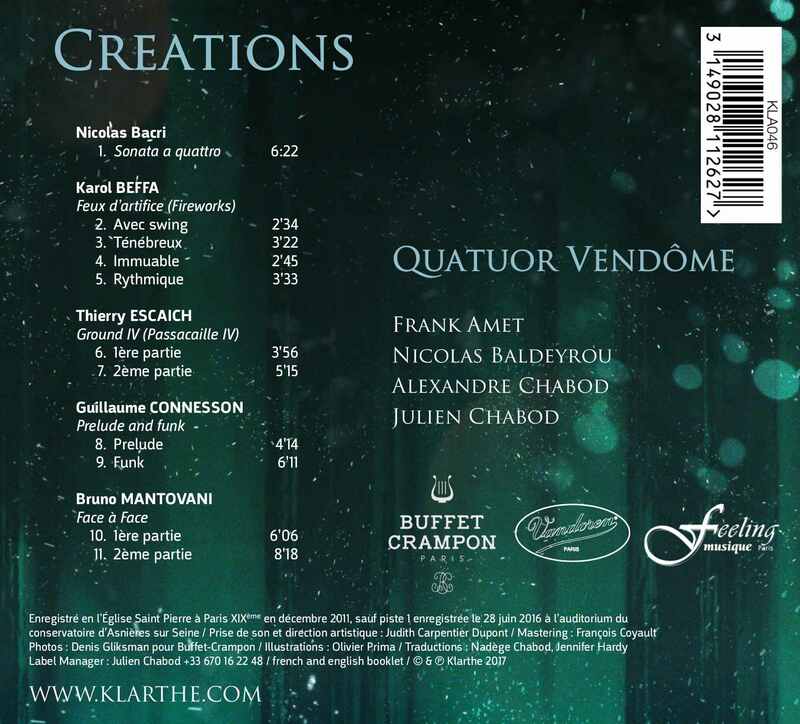 The Quatuor Vendôme also has an ambitious recording project. Their critically acclaimed second album, "An evening at the Opera", (Klarthe Records 2014), won them an invitation to play at the prestigious 'Victoires de la Musique Classique' ceremony in 2016, televised on France 3.